But how to quantify the value of my snack of the book? Tastiness? Weight gain? How nasty my fingers make my keyboard? Each book has had its own deadline snack. WHISTLING PAST THE GRAVEYARD had a variety of subgroups in the general category of puffed corn snacks. Overall, judging by my agent’s enthusiastic response and the fact that my book was finished over two weeks prior to deadline (something unheard of in Susan’s writing world), I’d say the puffed corn snack is a winner. Weight gain: this one comes in below my previous snacks. But really, it could be the shortening of the process by those two weeks. Should I continue to pig out until the actual deadline in order to accurately compare? I think not. I am finishing the final bag as I write this blog. Farewell ridiculous eating habits … until we meet again next deadline. Tastiness: Now I must compare subgroups. I’ve assembled a pros and cons list by product. Fiscally responsible. At $2.00 a bag it’s a deal, but I bought mine on sale, so whoo-hoo. 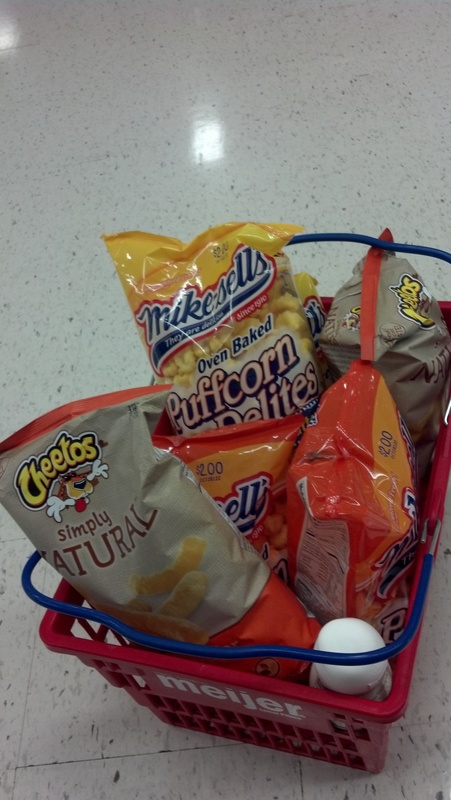 No orange finger and lip residue as evidenced by this product’s cousin, Puffcorn Delites Cheddar. Husband says they taste like Styrofoam, so he keeps his mitts off. Single bite size, no extra effort to bite off nibbles. Zero trans fat… but that’s what they all say! Although no orange finger residue, plenty of yellowish stuff to mess up my keyboard. Even so, there’s also a pro here; I have to get up and rinse my fingers off frequently… the only exercise I get on deadline. Bag indicates 5 servings per bag. I found it to actually be a 2 serving bag. Good price point as above. A little tastier than Butter cousin. Fewer calories than Butter cousin. Hubby still keeps mitts off. Everyone can tell I’ve been eating them from orange lips. Bag misleading by calling them delites and not delights, which is much more accurate—take it from me, I’m a wordsmith. Again, bag indicates 5 servings. This one had only 2 as well. Natural… so it’ health food. Denser texture than both Delites cousins, more substance and chewing. I like Chester, he’s cool. Pricey at $3.99 per bag—although you do get 2 more oz than Delites. Long Cheeto shape requires taking bites, not just popping into mouth. This bag indicates 8 servings, I discovered it holds 3. It all boils down to this: puffed corn in any form is delicious and stimulates creative brain activity. Plus the doing the not so scientific study made it feel less like I was overeating—I’m the queen of justification. Now I know everything I need to know about puff corn delights!! I wonder if we have those here in beautiful downtown Richmond, TX? Yes, Patty, my work is done now that I’ve adequately educated you. Let me know if you can’t find them and I’ll send you some!